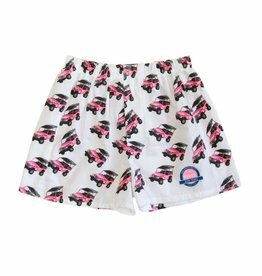 Adult boxer shorts with repeating iconic pink Jeep Wranglers and our You Gotta Do It logo included. 100% Cotton. Made in USA.